The first “D day” patrol covering airborne landings in Normandy. Patrolling in R/T silence, listening out on Hope Cove (Type 16). Completely uneventful – total observations: 4-6 yellow flares; the same boat twice; & slight A/A activity near Guernsey. 5 patrols completed before returning home. Crossing contacts with hard evasive by target. “Some time before dusk on 5th. June, we, as duty Flight, fore gathered at our dispersal hut, with little expectation of any activity. My log book shows that I had not flown operationally since 29th. May, when an unidentified aircraft had turned out to be a Wellington. I should, perhaps explain that the Squadron routine was that each Flight would be available for operations for two consecutive nights, then hand over to the other Flight for the next two. On any given night, eight of the ten crews on a Flight would be on duty – the other two being accounted for by leave, 48 hour passes, sickness and postings. A crew returning from a night or more off, entered the “state” for the night as last off, then climbing up a place per operational night until reaching the “first off” berth. Patrols or operational scrambles were then normally met by taking crews in order: on a busy night in Fighter Command, the first crew or two might well fly twice. The first indication we received that anything unusual was in the wind was the arrival of the Squadron Commander, accompanied by armed Service Police, who closed all doors and windows and took up positions outside the dispersal hut. The C.O. then told us that the long-awaited invasion of Europe was to take place that night. 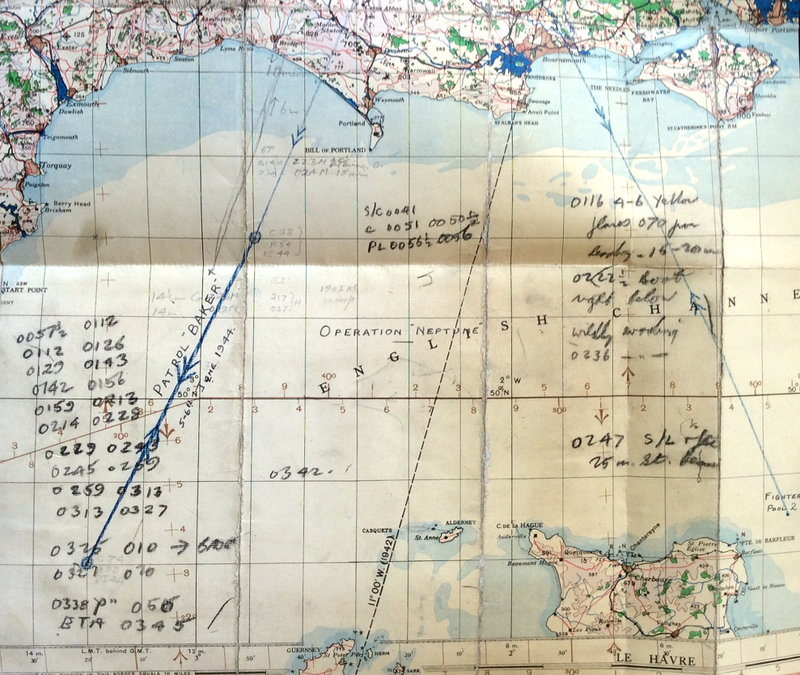 Our role was confined to putting up two crews who would, in succession, fly a patrol line from the South Coast to a point close to the tip of the Cherbourg Peninsula, in radio silence, keeping a radar watch. Our patrols would be monitored by a G.C.I. station well to the West. It was our assumption that this station would break radio silence if any significant attack were to develop – and, presumably, if we were not seen to have observed it and moved to intercept. We took off from Zeals, Wiltshire, half an hour after midnight on June 6th. in Mosquito NF XIII, HK534, of 488 Squadron, piloted by Flying Officer J,H, Scott, R.N.Z.A.F. Jack Scott, my regular pilot, had come from Invercargill in the South Island and was famous on the Squadron for taking every opportunity that came along (and some that he skilfully generated) to get into the air. Zeals was a not too satisfactory grass airfield, close to Mere. One of its less attractive features was a roadway running across the main “runway” (i.e. the path outlined in the grass by runway lighting) which was showing a tendency to break up and throw pieces of debris at the tails of the aircraft. On taking off in a westerly direction, it was necessary to climb fairly hard to clear a ridge, which was succeeded by a valley, notorious for down-draughts, before another and higher ridge. Contrary to normal practice, the first crew on the state was not sent on the first patrol: the Flight Commander selected the two crews, presumably on criteria of experience. Needless to say, we were more than pleased to be operating that night. Such was the superiority of R.A.F. night fighter aircraft and equipment at that stage of the War that we had every confidence that we would win any encounter and the occasion seemed to be one on which we must surely meet some opposition. Incidentally, it was not until years later that it became clear that we were, so to speak, right markers to the operation – patrolling on the western boundary of the invasion area and approaches. The navigation was interesting. Like the majority of night fighter pilots, Jack cherished his night vision and firmly banned any significant amount of light in the cockpit. Consequently, I carried two torches of the then familiar “No.8” type, one down each flying boot. The first was used for the pre-flight checks of controls and pitot head, but under no circumstances to be lit in the air. When the battery in this torch became weakish, it was transferred to the other, with two thicknesses of pink blotting paper to reduce the light output. With due care, this could be used to look at a map. The solution I used was to make all notes and calculations in black chinagraph pencil, on a map, which made the markings visible – to some extent – in the restricted light. It must be said, however, that the use of a transponder beacon or two, standard equipment at night fighter bases, made position finding at the northern end of the patrol line fairly straightforward and thereafter, such little matters as drifts and turning points became cause for mental arithmetic. I have neither record nor memory of our height, but think it was probably 10,000, possibly 15,000, feet. The night was clear on our patrol Line and. Although we saw nothing of the invasion fleet, which would have been some miles to our East, we did see, on each run, South and North, some craft on the water below, frantically circling – or so it seemed to us. We surmised that the crew heard our engines each time and were taking precautions. Otherwise the three hours of the patrol were totally uneventful and to us at the time a grave disappointment, although with hindsight we should have been pleased that the element of surprise had been so effective. The excitement came when we returned to base just after 0330 hours when, of course, the sky was lightening. Between us and our late supper or early breakfast seemed to be a solid carpet of gliders and tugs, all heading South. In the restricted light, this posed something of a problem – how to get below them without getting involved with their tow-ropes or creating problems for the glider pilots with our slipstream. We certainly avoided the former and hope the latter as well. A fascinating read, and peppered with other useful facts about Squadron life and RAF Zeals. Pasted into his journal is the flying map from the night, showing the patrol line, observations and numerous navigational calculations. It fills me with enormous pride that, as Broody explained, he and Jack were hand picked for the mission over the first crew on the “state” for the evening – Testament to their ability and experience. 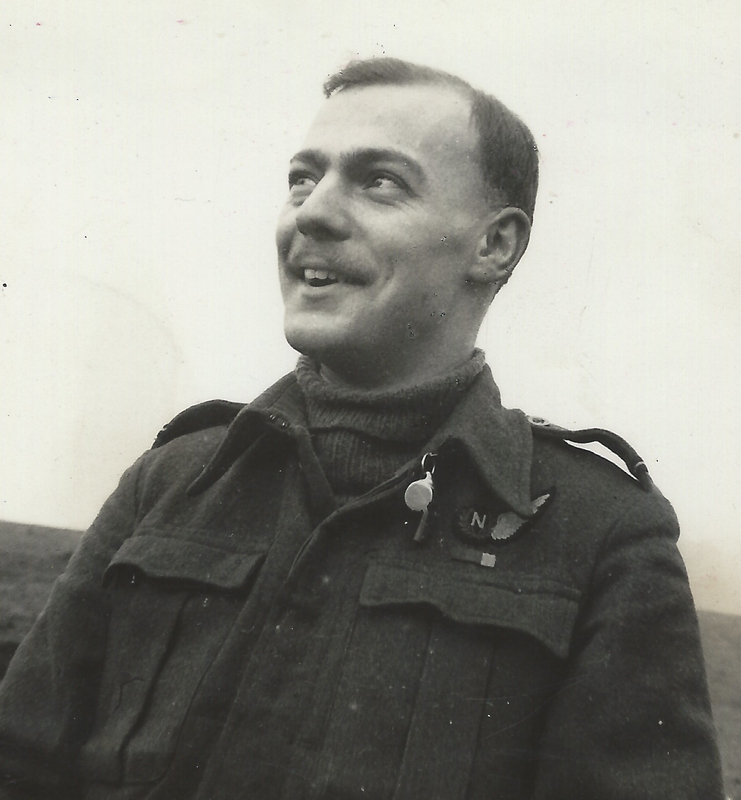 Although the night was uneventful for 488(NZ) Squadron, D Day was one of the most pivotal days in the entire war, and the fact that my Grandfather played an important part in it is humbling. The internet is awash with D Day resources, especially as we mark the 70th Anniversary. If you want more information about the RAF’s role in Operations Neptune and Overlord, I suggest you look at the resources on the RAF’s website.